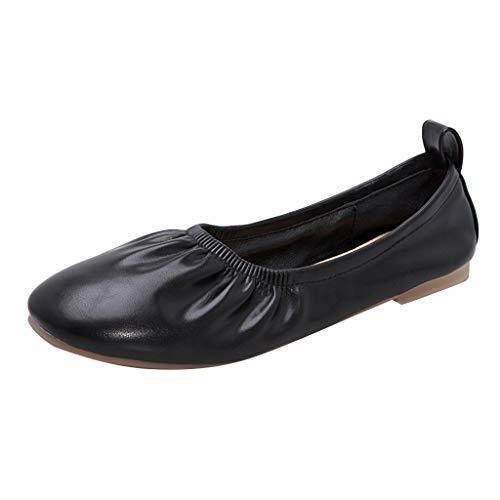 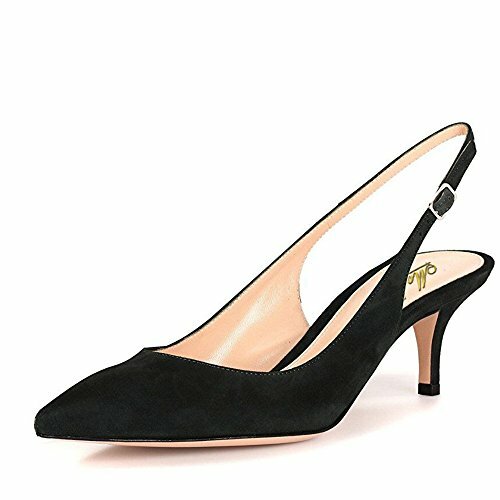 MANMADE LEATHER: Rubber sole,anti-slip pointy toe pumps. 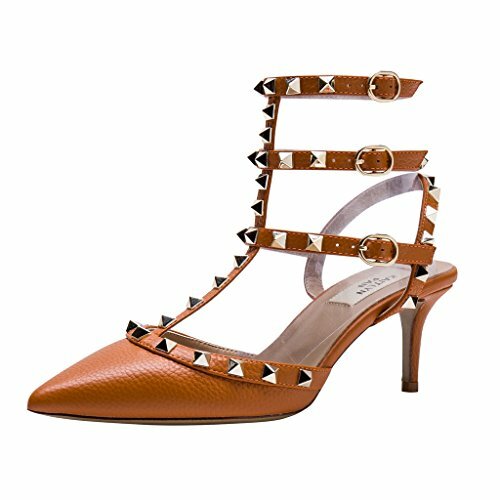 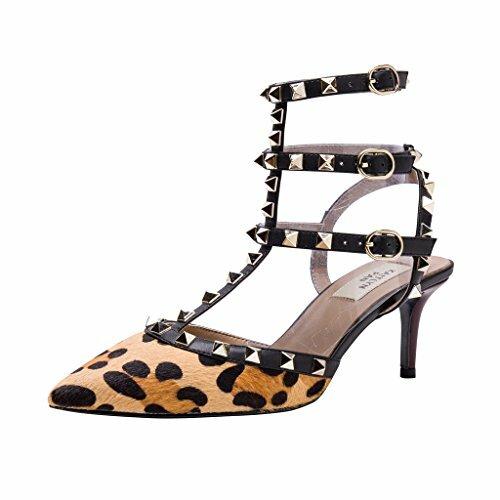 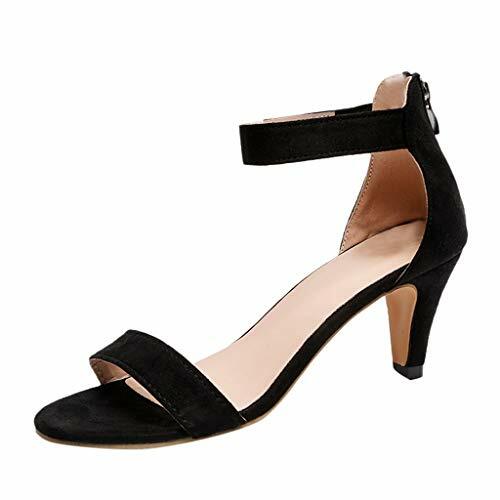 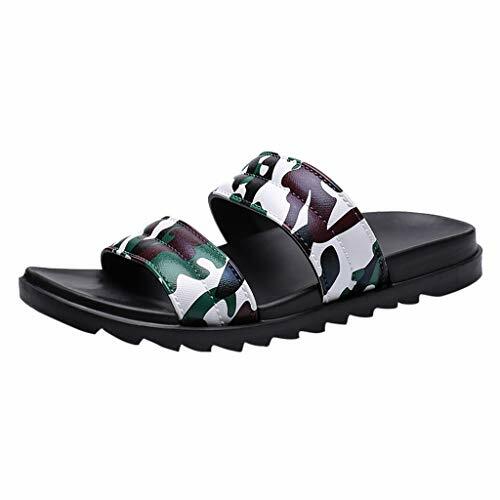 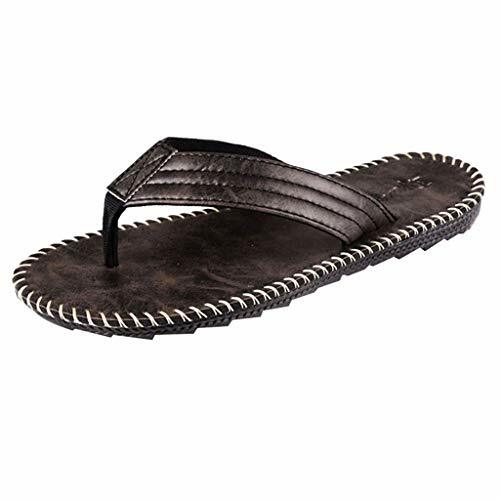 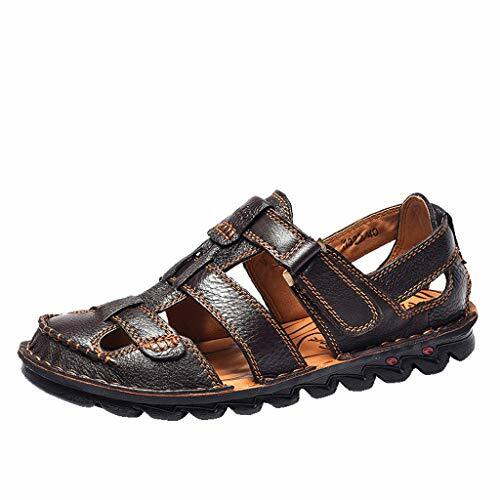 2.4 INCH KITTEN HEEL: your foot will truly enjoy and don't feel sore and sweaty with these mid kitten man made heel leather sandals. 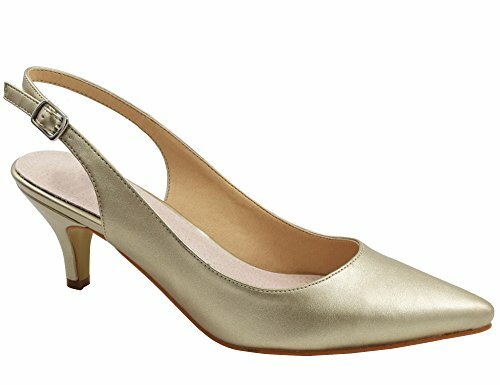 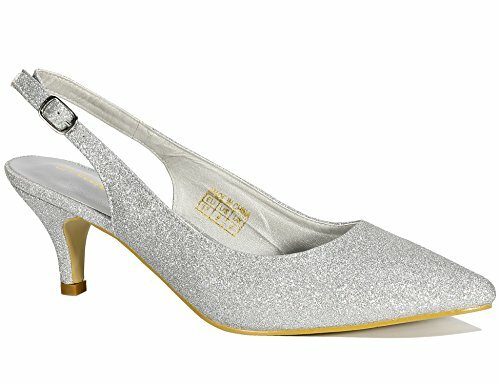 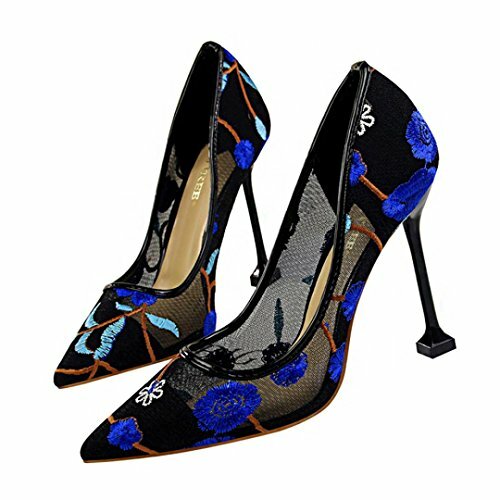 D'ORSAY DESIGN : Closed toe stiletto heels look fantastic with any outfit, perfect for wedding party prom club evening business office dating and daily. 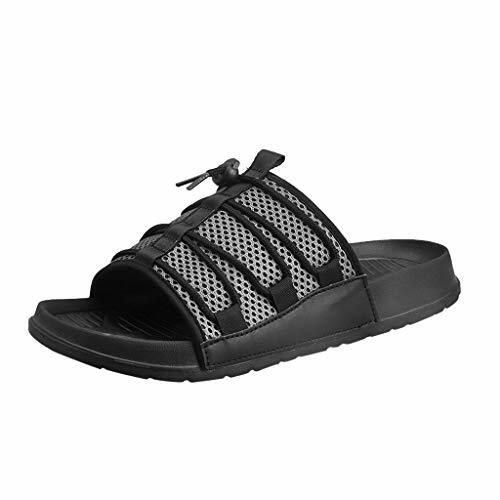 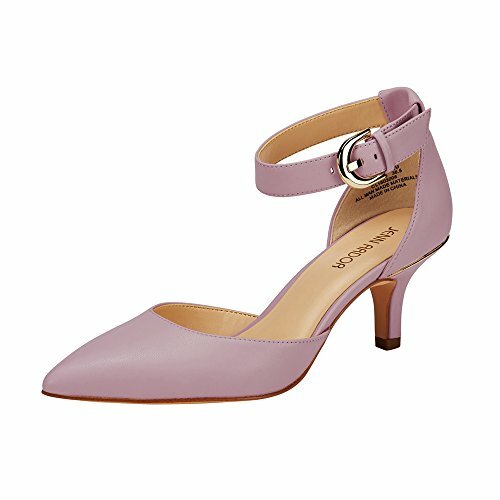 ANKLE STRAP with an adjustable buckle is fitting freely,color pink,natural,dark blue and black are available. 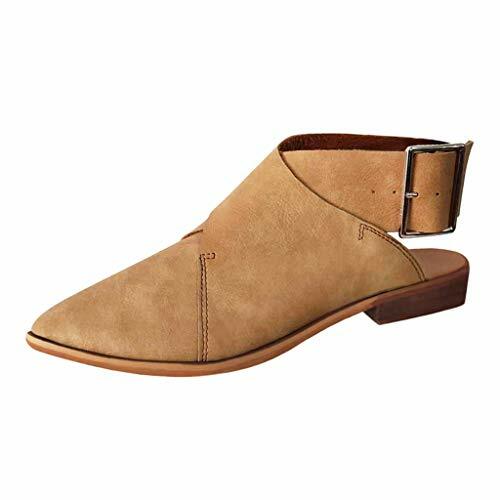 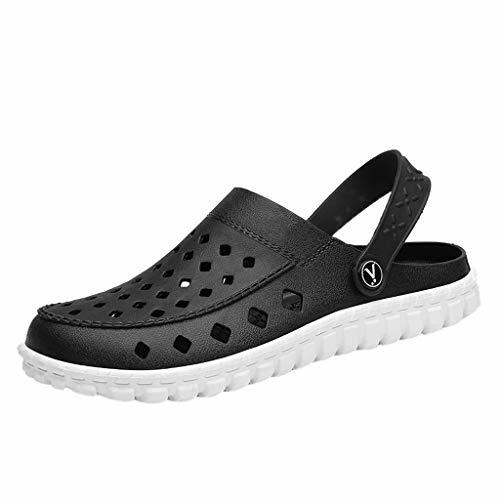 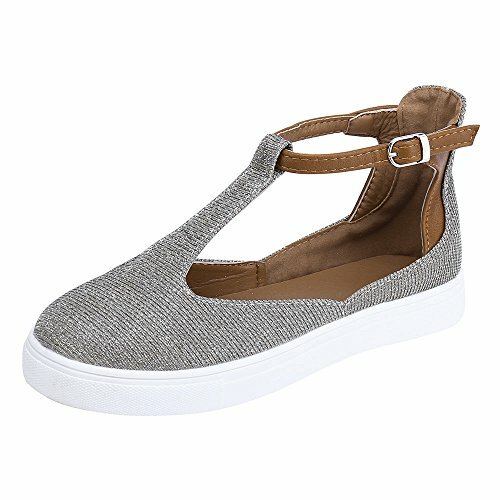 FITS true to size for most standard US sizes.If you have wide feet,please order half size up. 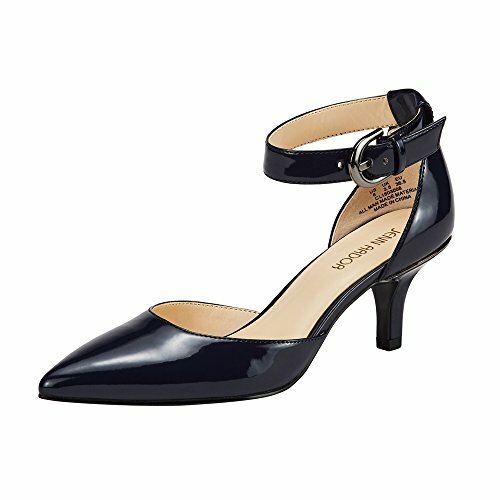 Measurement (tested size 6; approx. 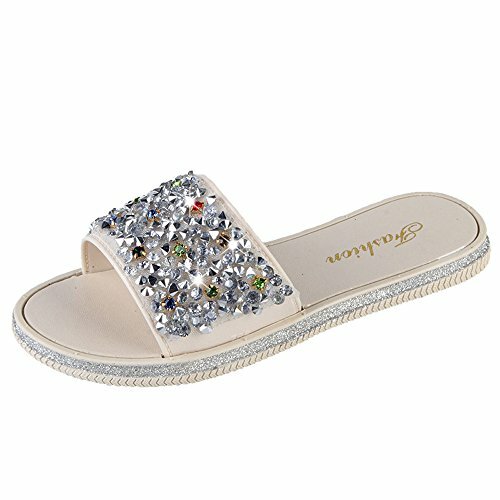 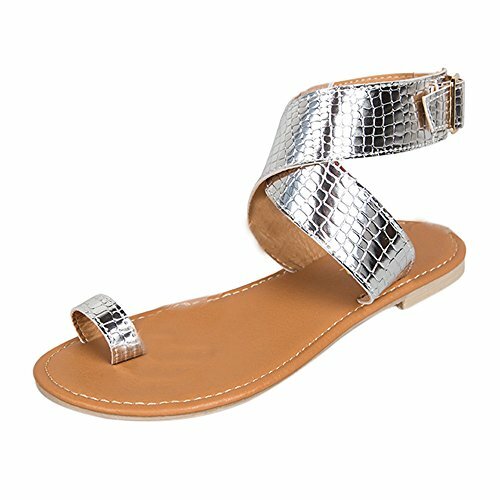 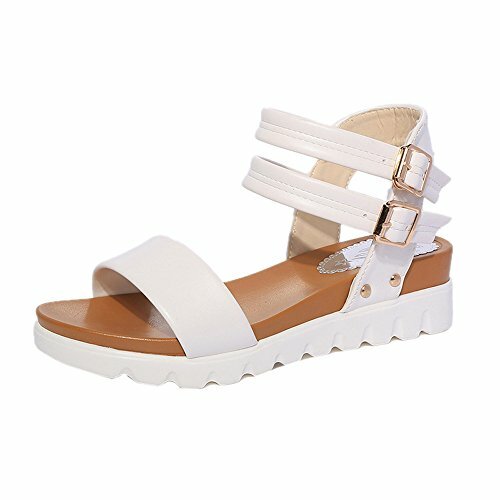 ): Heel height: 1.5" Platform height: 0.25"
&#x1F339;Suitable Scenes:Outdoor,Fashion,Leisure.Suitable for casual wear/walking/beach/shopping /vacation/pool/street /leisure venues.【Summer Essential】 Whether you wear shorts, jeans, T-shirts or cute skirts, simple sandals to make any simple outfit look instantly stylish.Can be act as a pair of walking sandals or casual sandals with anti-slip cork & rubber sole. 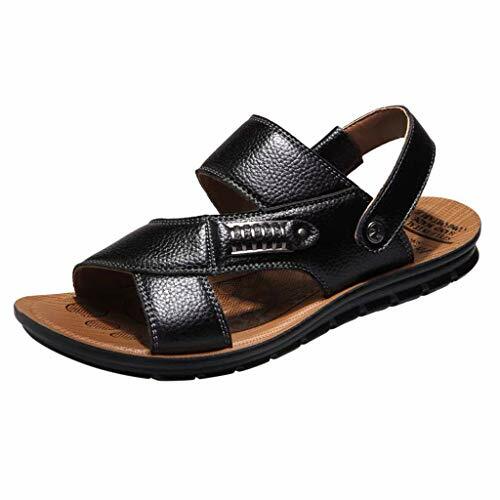 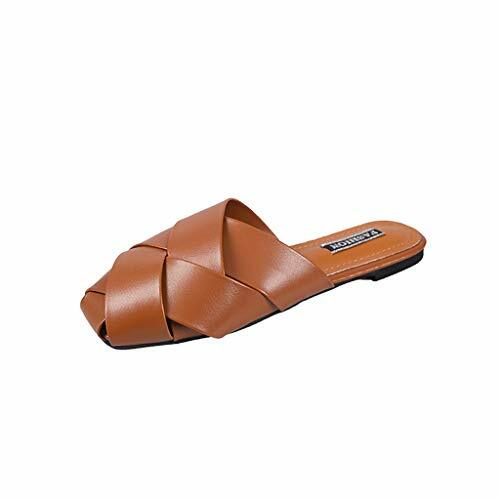 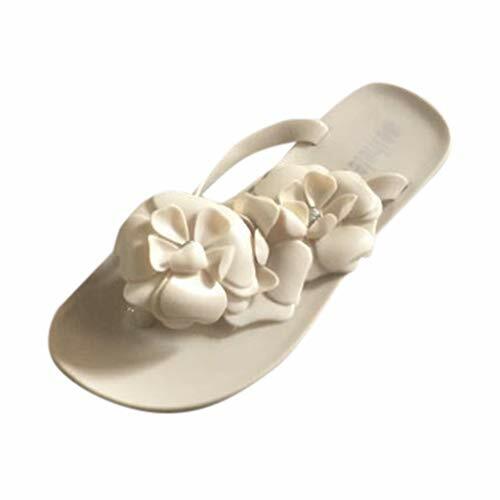 &#x1F339;We recommend to buy a slightly larger size sandals for better experience. 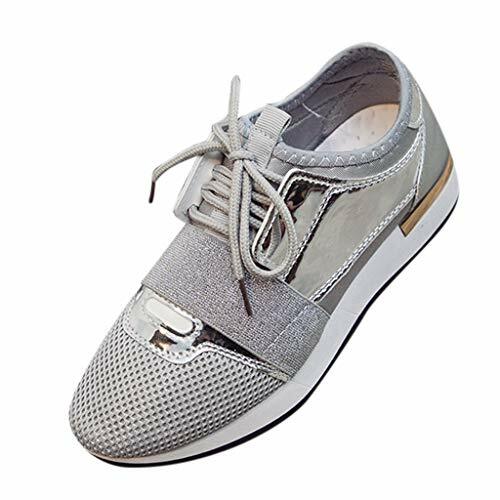 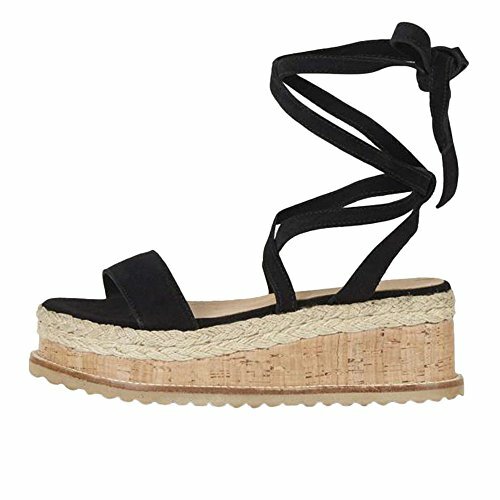 &#x1F339;【Unique Style】Shoes Heel High:7cm.Classic espadrille high heel casual sandals for women. 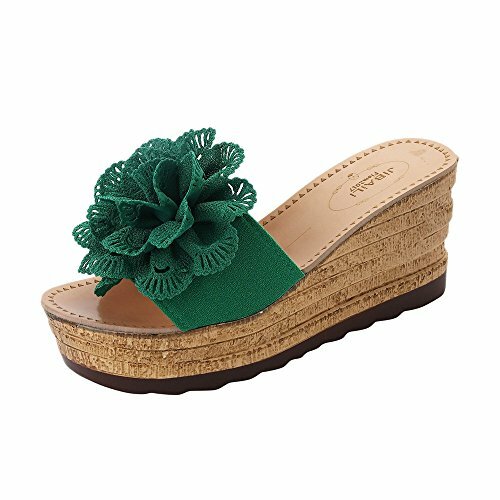 &#x1F339;The Sandals soles are made from durable and elastic rubber, which provides the user with the enough buffer between feet and ground; also have good abrasion resistance.【Ultra Lightweight】Super cute summer wedge sandals, these platformas features jute rope platform wedge heel, ankle tie straps, open toe, the high wedge heel design make your legs looked skinnier, also keep you comfy wear all day. 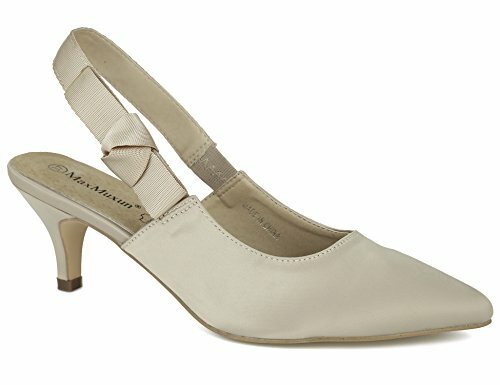 Measurement (tested size 6; approx. 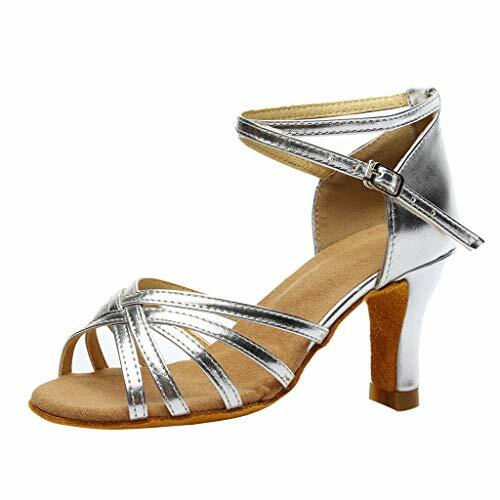 ): Heel height: 2.5" Platform height: 0.25"
Adjustable ankle straps featuring easy buckle closure fasten securely around your ankle. 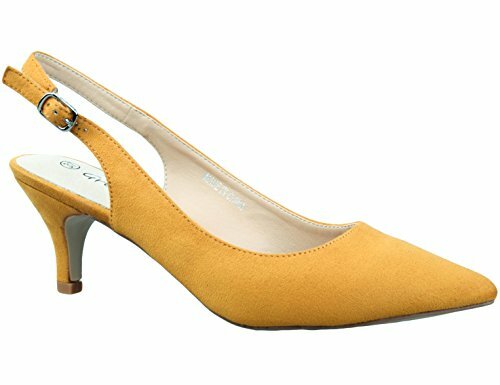 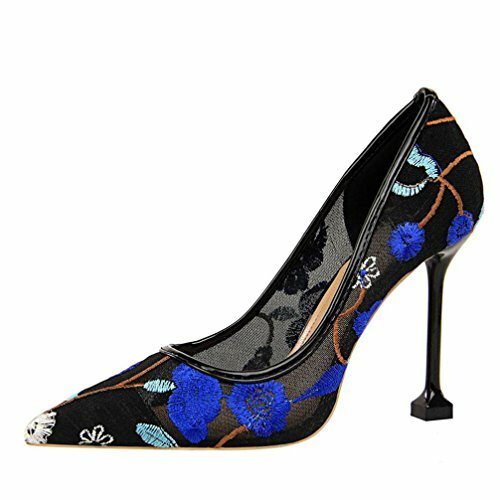 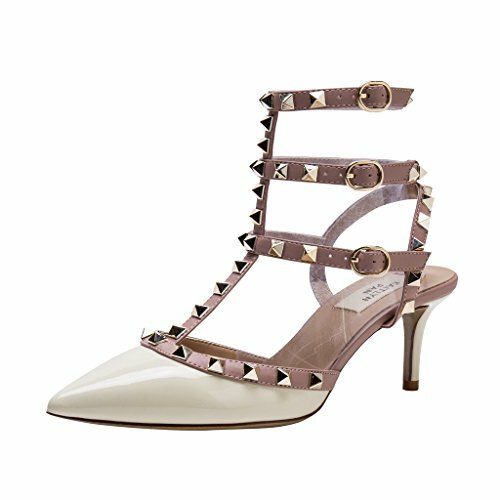 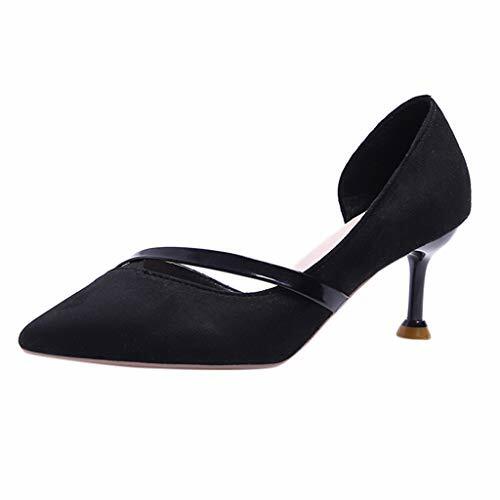 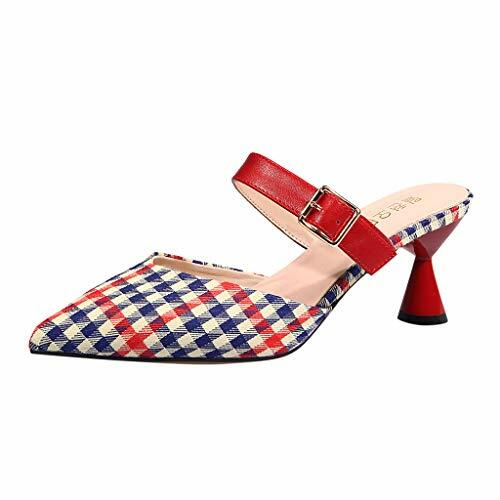 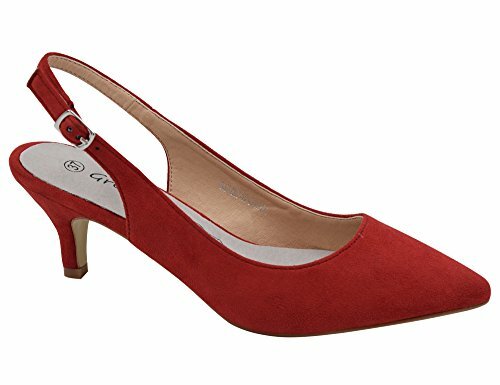 Featuring closed pointy toe and mid tapered heels, the pumps make you elegant. Perfect heel height creats long and lean frame for elegance in every step and ensure all-day comfort walking. 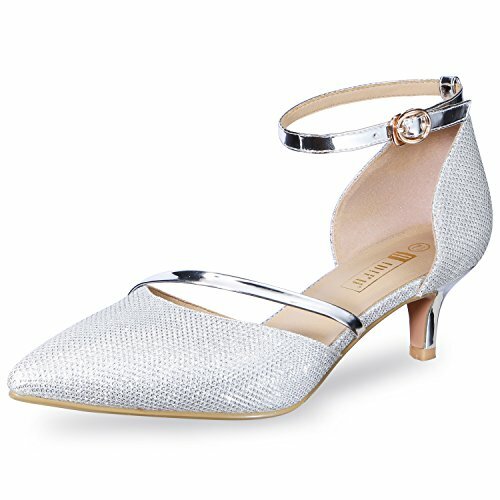 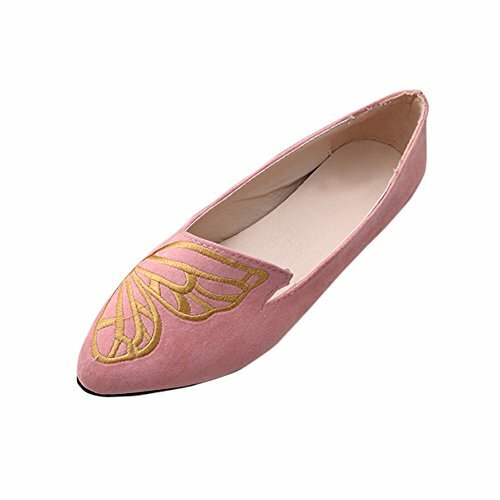 Suitable for casual or dress outfits in different occasions, like office/street/party/club/prom/wedding and so on.